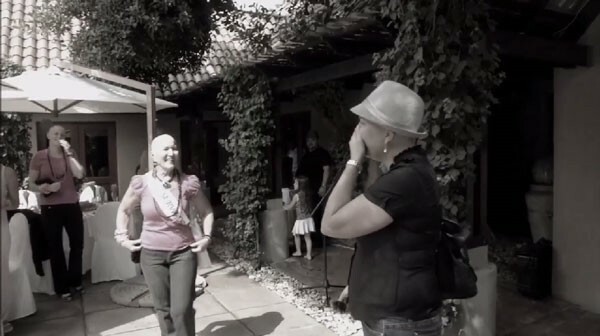 In February 2014, Gerdi McKenna wrote an e-mail to all her friends telling them that she was diagnosed with breast cancer a few months ago, while asking their understanding of her absence from their lives because of the treatments. All her friends decided together to do something unique for Gerdi, to show her how much they love her, how much they want her near them strong and that in any case she should not feel alone by shaving their heads and stood beside her in their own way. 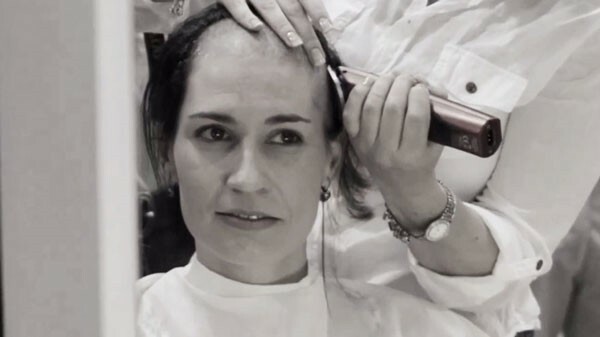 It’s the least u can do about it, the loss of my hair is nothing compared to what Gerdi is going through, hair is just a piece of ourselves and the greatest gift is our health, are just some of the phrases heard from the real girlfriends of Gerdi. With video shooting and champagnes and a great party afterwards, where the surprised girlfriend came in and saw all the women in her life with a shaved heads. Then they stood in front of the lens of a good photographer. Nothing but love is also the title of the video which recorded all the details!